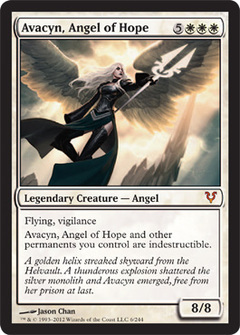 Avacyn, Angel of Hope ($27.99) Price History from major stores - Avacyn Restored - MTGPrice.com Values for Ebay, Amazon and hobby stores! 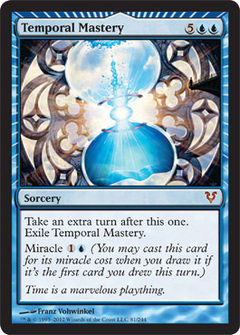 Card Text: Flying, vigilance Avacyn, Angel of Hope and other permanents you control are indestructible. Flavor Text: A golden helix streaked skyward from the Helvault. 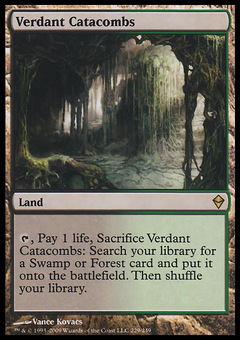 A thunderous explosion shattered the silver monolith and Avacyn emerged, free from her prison at last.